In his inaugural address, Nixon held out a hand in friendship to Republicans and Democrats alike. But by the fall of 1969, massive demonstrations in Washington and around the country had been mounted to break his presidency. In a brilliant appeal to what he called the oGreat Silent Majority,o Nixon sent his enemies reeling. 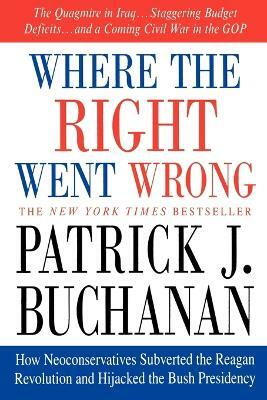 Vice President Agnew followed by attacking the blatant bias of the media in a fiery speech authored and advocated by Buchanan. And by 1970, Nixon's approval rating soared to 68 percent, and he was labeled oThe Most Admired Man in Americao. Them one by one, the crises came, from the invasion of Cambodia, to the protests that killed four students at Kent State, to race riots and court ordered school busing. 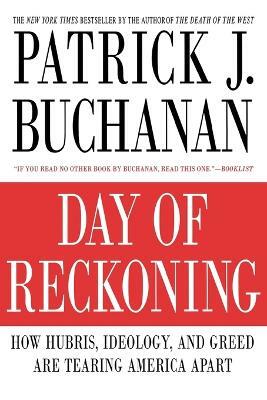 Buchanan chronicles Nixon's historic trip to China, and describes the White House strategy that brought about Nixon's 49-state landslide victory over George McGovern in 1972. When the Watergate scandal broke, Buchanan urged the president to destroy the Nixon tapes before they were subpoenaed, and fire Special Prosecutor Archibald Cox, as Nixon ultimately did in the oSaturday Night Massacre.o After testifying before the Watergate Committee himself, Buchanan describes the grim scene at Camp David in August 1974, when Nixon's staff concluded he could not survive In a riveting memoir from behind the scenes of the most controversial presidency of the last century, Nixon's White House Wars reveals both the failings and achievements of the 37th President, recorded by one of those closest to Nixon from before his political comeback, through to his final days in office. 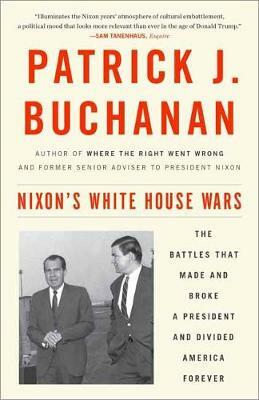 Buy Nixon's White House Wars by Patrick J. Buchanan from Australia's Online Independent Bookstore, Boomerang Books. 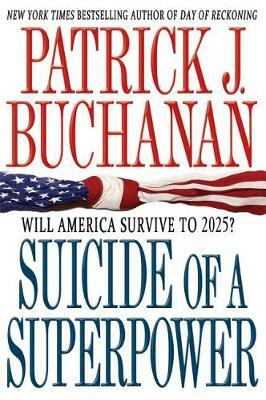 Patrick J. Buchanan, America's leading populist conservative, was senior adviser to three American presidents, ran for the Republican nomination in 1992 and 1996, and was the Reform Party's presidential candidate in 2000. aThe author of twelve previous books, many of which were New York Times bestsellers, Buchanan is a syndicated columnist and founding member of three of America's foremost public affairs shows- NBC's The McLaughlin Group and CNN's The Capitol Gang and Crossfire.